attention to all malaysian! this is one way to show how patriotic you are. dare to join a contest from windows 7 malaysia. 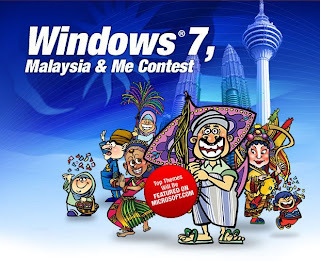 all you have to do is design a new theme for windows 7 and it has to be a uniquely malaysian windows 7 theme. i would really like to join the contest. but the problem is that i never know how to design one! ha-ha! so, to those who know how and would love to show your patriotism, click here for more info!